Virto DataGrid Web Part allows users to relate two SharePoint lists or two SQL tables selected as data source and create nested Data Grids. This can be applied when you need to display information from both sources. 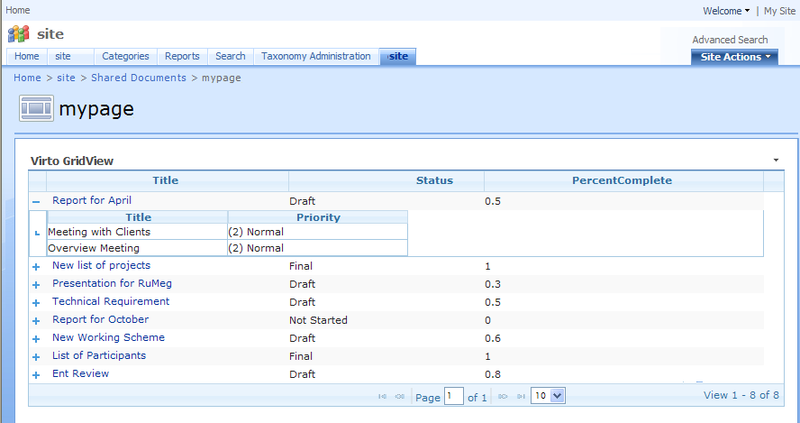 It is required to select a field in each of lists (SQL tables). These fields should be of the same type (for example, text or URL). If selected fields have different types, the system will leave these fields empty. Use “Modify Shared Web Part”. Move to “Nested Data Settings” block. Select child SharePoint list or child SQL table (see Using SharePoint List for DataGrid and Using SQL Table for DataGrid sections). 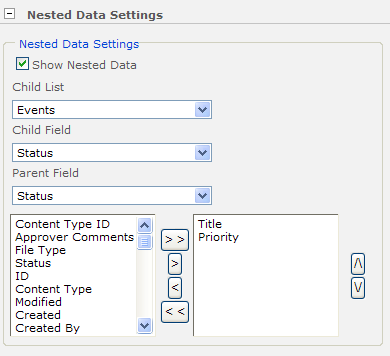 Now define parent field and child field to display in DataGrid. If values of these fields are the same, child data grid will display corresponding items. 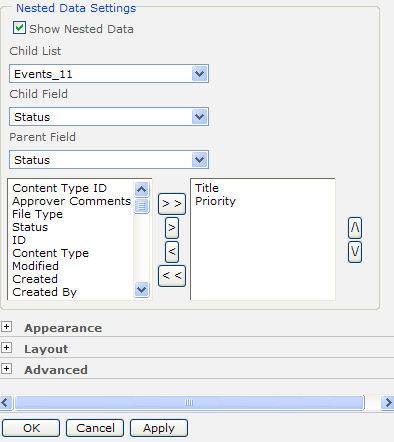 Select columns from child list to display in the data grid and define their order. Click “OK” to finish adjustment or click “Apply” to save the settings and continue. Now you can view events from parent and child lists (SQL tables) in a single Data Grid. Click “+” opposite an item and you will see related data from child data grid. Just click opposite a required time.